Cybercrime is becoming increasingly prevalent, and more Internet users than ever before are forced to face the fear of having data exposed in a breach or hack. Many technology users assume they can never be targeted and, as a result, don’t take the necessary steps to protect themselves and their information. The reality is that almost half of all consumers are affected by some form of cybercrime each year. With the odds stacked against tech users it’s crucial that they set aside time to secure data and prevent the frightening side effects of a data breach, including permanently lost files, hacks into other accounts or even identity theft. Financial institutions are trusted advisors and should their account holders to spend a few minutes to ensure their most sensitive information is properly protected. With World Backup Day on March 31st, make it your FI’s mission to convey the importance of defending and safely storing data to account holders. 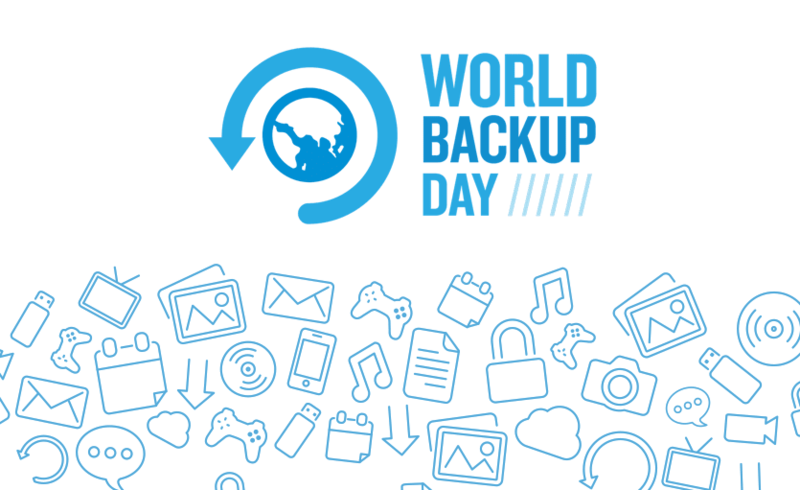 What better way to participate in World Backup Day than by actually backing up data? Encouraging account holders to find a safe way to store their data will help them to carry out an exponentially safer digital life. Whether it’s by exporting an extra copy of files and other records onto a USB, external hard drive, or recovery disk, backing up can protect users from losing data entirely should anything happen to the original files. For account holders, this means storing banking passwords in an alternative, safe place to avoid loss and theft. Most back-up options are relatively inexpensive and are certainly worth the investment to ensure the security of files. Giving devices a thorough spring cleaning will ensure the safety and longevity of the device itself and the information it holds. An essential part of this is deleting outdated files. If the information is sensitive, it is especially important to remind account holders to securely delete old files, as they may still linger on your device or get in the wrong hands on their way out. Deleting files will free up space on a device for additional storage and can even help increase efficiency. One of the simplest ways an account holder can protect their information and identity is to keep the software current on all their devices. Double-checking for device software, virus protection, and other security updates is a quick step that can have long-term benefits; setting reminders on devices or allowing the software to send push notifications regarding these updates takes the guesswork out of knowing when to perform an update. Keeping current with apps and software ensures any vulnerabilities in previous versions are patched, and serves as just another line of defense against information. Your institution may already have a multilayer security approach in place to protect your account holders, but people are the most vulnerable piece of any security strategy. It is critical to convey the importance of changing passwords frequently to prevent an unauthorized user from accessing accounts and monitoring financial statements to alert your account holders of any suspicious activity. There are numerous tools your institution can implement, from automated dispute tracking to fraud monitoring using machine learning, to help protect your account holders and their data. Data security should be a priority for you and your account holders year-round. You can help your account holders protect themselves and their data by sharing these four tips with them.